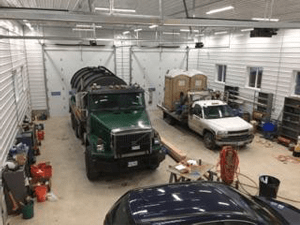 Foss Enterprises has been providing professional septic tank pumping and related services for residents and businesses throughout Central Maine since 2002. We are proud to offer the convenience of prompt, affordable septic tank service throughout the region. We know that your septic system is probably not high on your list of thoughts on an average day. However, please be aware that an ounce of prevention is worth many pounds of cure for a failed leach field. Regular septic pumping and maintenance will help keep your system reliable for years. Foss Enterprises provides exceptional septic services at great rates throughout Somerset and Eastern Franklin Counties. We also serve nearby areas. To take advantage of our professional tank pumping service, contact us today. Group discounts are available. *Disposal costs tend to vary from free to between $50-$85, depending on available options. There is no disposal fee for residents of Skowhegan, ME. Additional charges may apply for unscheduled services. Distant locations may incur additional charges for mileage and time. We are still offering our very popular group & neighborhood septic tank pumping discount! Talk to your neighbors, set a date, and schedule an appointment today. Call us for details and your entire neighborhood can enjoy the savings. Foss Enterprises was founded on principles including honesty, hard work, dedication to customer service, reliability, and a commitment to exceed customer expectations. You can trust the Foss Family for exceptional, professional service at a fair price.